Outdoor electrical boxes come in four different types. These types are available in many shapes and sizes depending on the purpose they will be used for. All outdoor electrical boxes must be weatherproofed and waterproofed to protect them from the outdoor environment. An outdoor distribution box is an electrical box that takes in high voltage electricity and then distributes low voltage electricity to other outdoor electrical boxes. A distribution box has a sealed cover that can be locked in place to prevent tampering. It also has a face cover that can be removed to gain access to the breaker wires. A spot for a main shutoff breaker is located on the inside top of the box. The top of the outdoor electrical box has several holes. One of them is for high voltage to run into the box. Smaller holes are located on the bottom of the box so low voltage wires can be sent to different locations. A round box mounts to a building so a lighting fixture can be attached to the box. The outdoor round box can also be used as a junction box with several electrical lines running into it from different locations. This type of outdoor electrical box sometimes comes with a sealed protective cover that is used if the box is set up as a junction box. 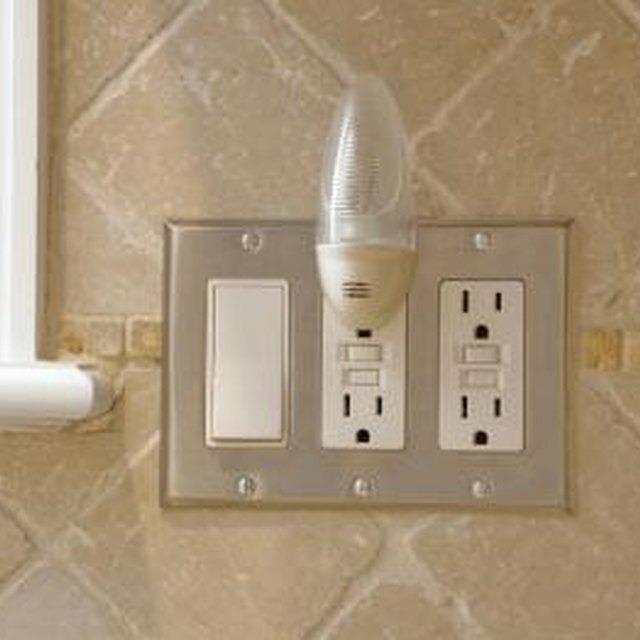 It can also have screw mounts on the inside where lighting fixtures can be attached. An outdoor outlet, commonly known as a gang box, is an outdoor electrical box that has electrical outlets for items to be plugged into. Usually made out of plastic (although sometimes made out of aluminum), this outdoor electrical box has a sealing gasket located around the mouth of the box where the protective cover can be mounted. This gasket waterproofs and weatherproofs the mouth to prevent water and other debris from entering the power supply. An outdoor switch box is an electrical box that provides protection for light switches or breaker switches. This type of outdoor box has a cover that opens like a small door. Other electrical boxes can be mounted on the inside of this switch box. Made from plastic polymer that is strong enough to protect the inside of the box from the outside elements, this box sometimes has multiple electrical lines running in and out of the panel. What Does a Freezestat Do in an Air Handler?